We’ve talked a bit about Mitch before – the Beta Minions / Night Witch army composition. There are a number of variations of this attack strategy out there using 1, 2, or 3 camps of each. I had a couple more replays of two star wins I thought I’d share. A lot of players look at the Night Witch as a “spray and pray” troop, but in the hands of someone who is practiced with the troop, they can be devastating. This is especially the case when you’re fighting a box base with certain, key defenses accessible near the outer fringe of a base design. This box base is particularly interesting as it has a number of compartments and most of the walls are level 4. You could attack it with ground troops, but you’d need to take Bombers to do so and that takes up one of your camps with a low volume troop. Additionally, you would need something to tank for the Bombers, not to mention something that can take out those external junk buildings. In all…an air attack would probably be a better choice. Air targeting defenses are broken out fairly evenly around the top apex of the base. This means your approach will be limited to the bottom apex and a bit to either side of it; otherwise, your air troops will be hit hard and fast by FireCrackers, Roaster, and AirBombs. A hybrid approach makes good sense here. Mitch to the rescue…. This player has his based positioned in the upper corner of the game grid, providing a LOT of space at the bottom to spread your Night Witches out and give them time to throw bats at the base while the other troops approach. Bats are very good for sussing out Mines set to air as well, so they clear the path for other troops. 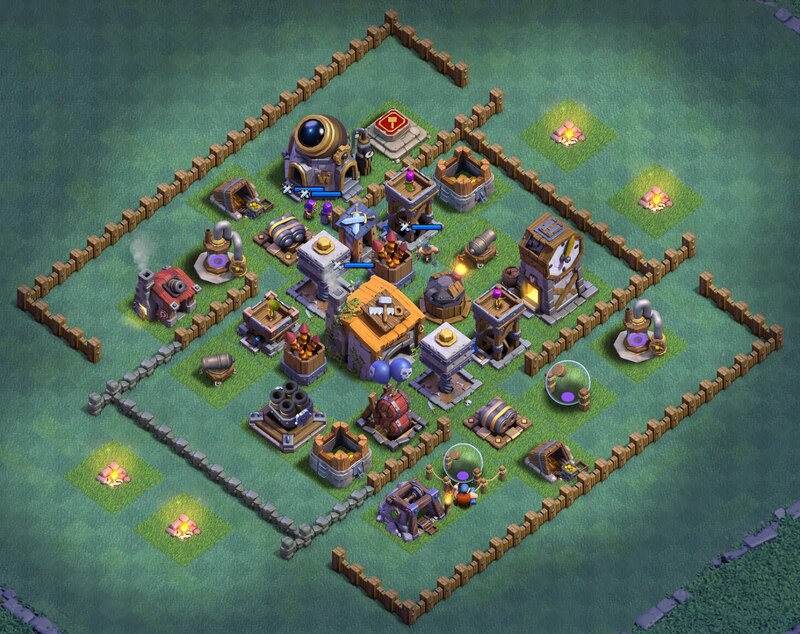 2 camps of Night Witches are enough to turn the base’s defenses upside down. After the first volley of bats clear the way, it’s safe to spread Beta minions and drop the Battle Machine. Additional volleys of Bats will distract air targeting defenses long enough for the Beta Minions to sneak in and clear out the bottom of the base and the Battle Machine to break into the wall. The Night Witches follow in and get some shots in, taking out the Builder’s Hall before finally being shot down themselves. After a little more clean up by the Battle Machine, this turned into an 86% two-star win. Next up we have two slight variations of the “Bracket Base”. 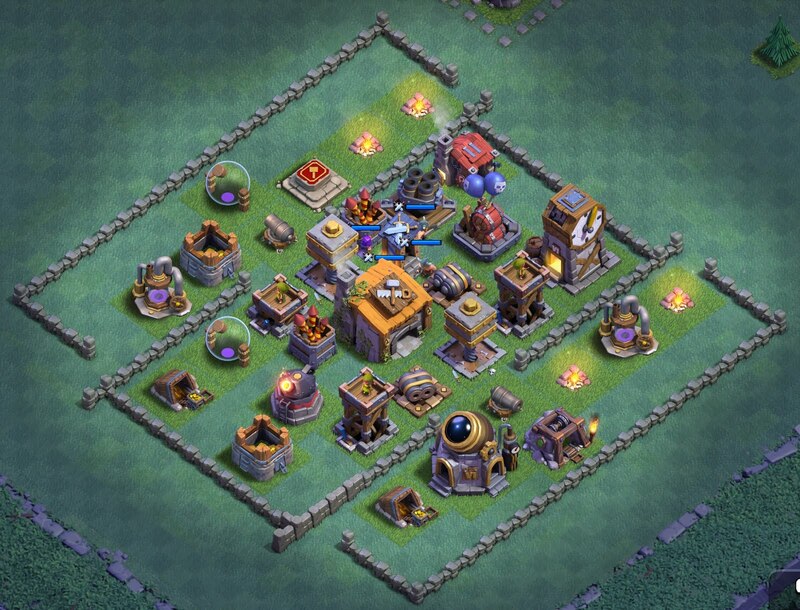 This is a fairly common base we see at BH6 all the time, especially once you hit around 4000 trophies (it’s there in the 3000s as well). 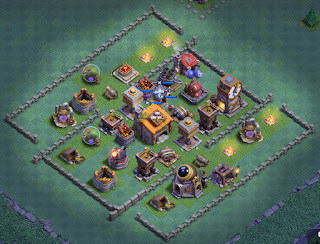 As you can see, the MultiMortar and AirBombs are very close to the outside edge of the base. The Roaster is clear over to the other side of the base from both. This is designed to discourage a straight up air attack – AirBombs and Roaster are very good at clearing Beta Minions and pack quite the wallop against Baby Dragons. The Battle Machine goes in to start clearing the top corner of the base while two camps of Night Witches come in from the right with the first volley of Bats. The Bats draw the attention of the AirBombs, as Beta Minions go down along the right edge of the base with their ranged attack. The second volley goes after the AirBombs directly, again distracting them while the Beta Minions work them over. The first FireCrackers fall victim to the Beta minions at the top while the MultMortar falls to both Bats and Beta Minions. This keeps the Night Witches alive long enough to send a few more runs of Bats into the base and between them and the remaining Beta minions, the Builder’s Hall goes down as well. This one ends in a 74%, two-star win. The second example against this base is a little bit different. The attack unfolds in much the same way as any other Mitch attack, but this time around we’re coming in from the top, right corner of the game grid and only using one camp of Night Witches. 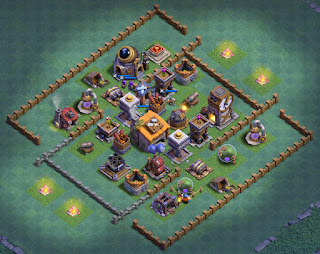 Many players place their base in the lower left corner and that opens the top right for the long run of the Night Witch, providing ample time for them to generate a LOT of Bats before they ever get to the base. You’ll notice that we’re coming in from exactly the opposite side of the previously described attack. 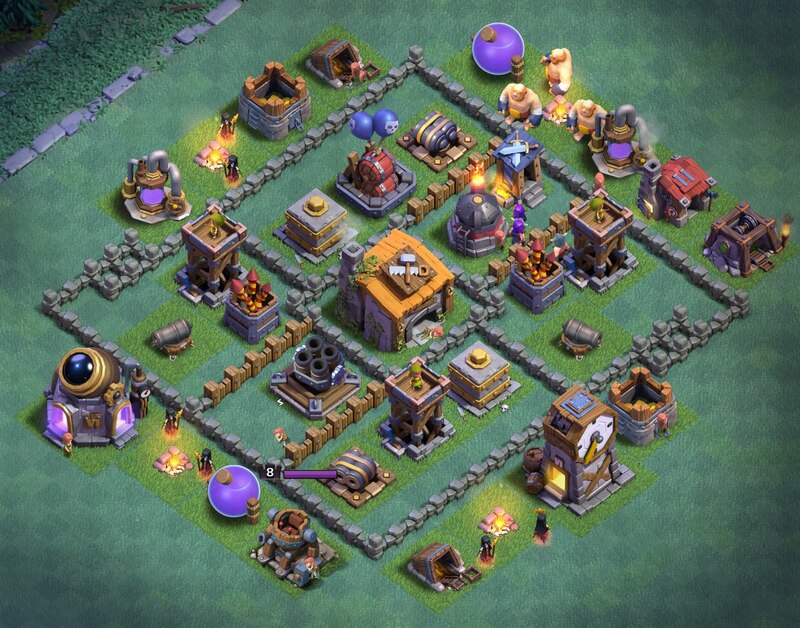 This player has his AirBombs and MultiMortar on the edge, but it’s the LEFT edge this time around. This deployment is focused more on the Roaster and using the Beta Minions to cause fast damage. Bats distract the air defensesas the Beta minions are placed over the top, right apex of the base. The Night Witches make it all the way into the core with the Battle Machine taking. This continued distraction of Bats allow the Beta Minions to do a lot of damage for an 89%, two-star win. You can catch the replays of each of these attacks by heading over to my YouTube channel, GwN. Special thanks to Circle for sharing some of his replays. Here’s the link to the video…. EDIT: Here's a link to FIVE more, great video replays of Mitch attacks on a variety of bases, including a three star attack!